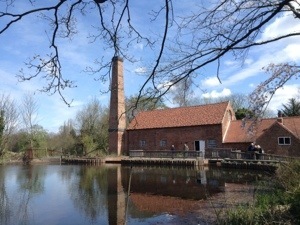 A visit to the freshly restored watermill close to our home. Tolkien grew up near here and it was a treat to see the mill working as it was in his day. Must come back in August when they’ll be selling wheat flour ground on the premises. 28 Apr	This entry was published on April 28, 2013 at 9:04 pm. It’s filed under Uncategorized and tagged Birmingham, Tolkien. Bookmark the permalink. Follow any comments here with the RSS feed for this post.